We offer a wide range of hotels near Charlton Athletic from cheap accommodation to up market luxury hotels. Search our database of hotels to find the lowest rate for your stay closest to The Valley. Situated on the Greenwich Peninsula, this Holiday Inn Express offers modern, air-conditioned accommodation just a 15-minute walk from the O2 Arena and the cable cars at Emirates Greenwich. 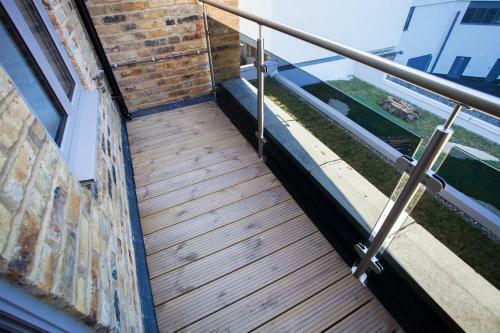 Featuring free WiFi throughout the property, Royal Arsenal Apartments by Bow is located in Plumstead, 13 km from London. Windsor is 47 km from the property. Private parking is available on site. Located in London's Dockland area, this hotel boasts direct access to the Excel International Exhibition and Convention Centre. 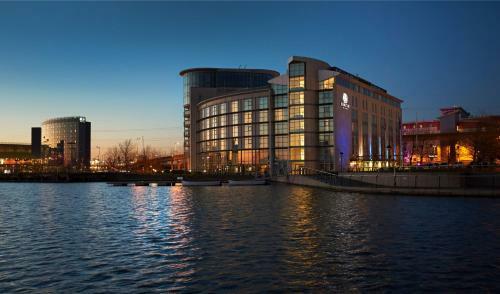 Located in London, 2.8 km from O2 Arena, Hampton By Hilton London Docklands boasts air-conditioned rooms with free WiFi. Private parking is available on site. Rooms are equipped with a flat-screen TV. You will find a kettle in the room.